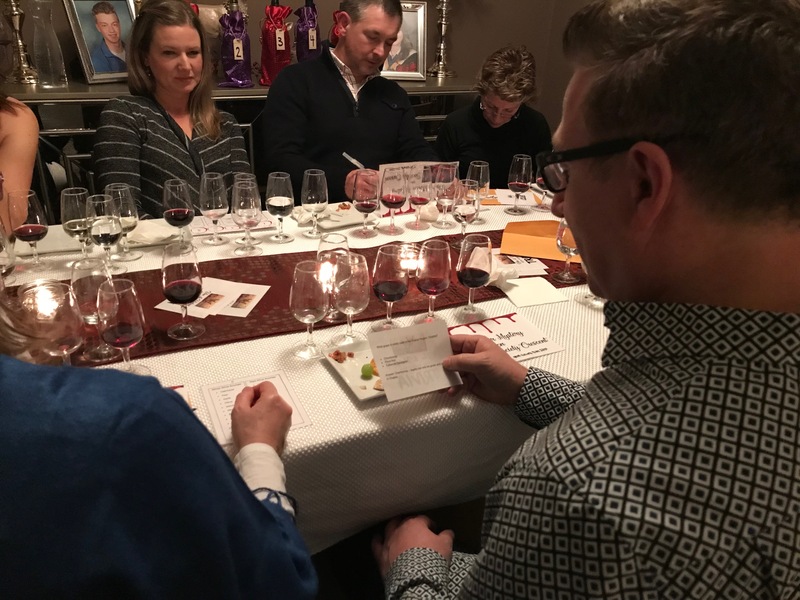 A wine tasting experience with Vine & Vintage, what exactly is that? How is it different than any other wine tasting? Being a new company, I so often get asked these questions. These are my favourite questions, as they give me an opportunity to share the concept behind Vine & Vintage in its rawest and truest form as well as expose the passionate story that sparked the beginning of the company. Let’s get real. 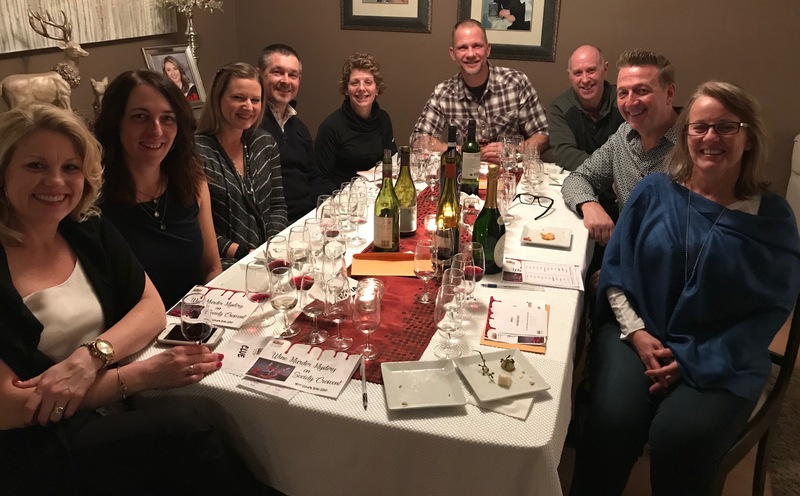 If you haven’t spent years studying wine, come from a background where wine is consumed like water, or given a second thought to the difference between an Australian Shiraz vs. a French Syrah, chances are, you don’t roll with the Sommelier scene in Toronto and attend highly acclaimed tastings. In fact, you enjoy drinking wine in a more recreational setting and might be interested to learn a little more, but intimidation or lack of knowledge on where to look is in your way. That is where Vine and Vintage comes in. There are 5 important details about a V&V wine tasting experience that I will fill you in on. Every wine tasting experience is different to suit the needs and wants of our clients and their guests. 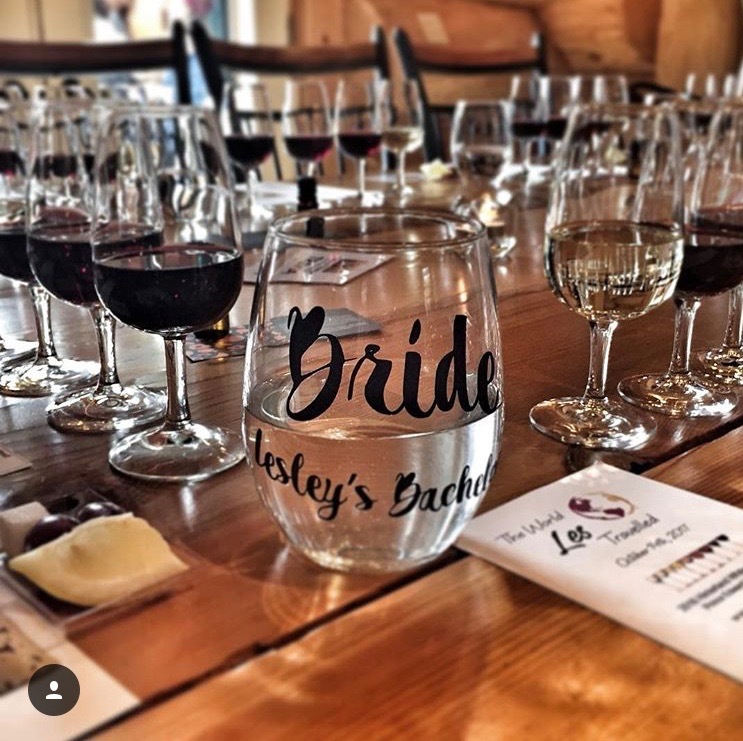 Step 1: For any occasion, we work with our clients to create a theme, menu, special activities and an entire 2-hour event for a group to connect, celebrate or socialize. 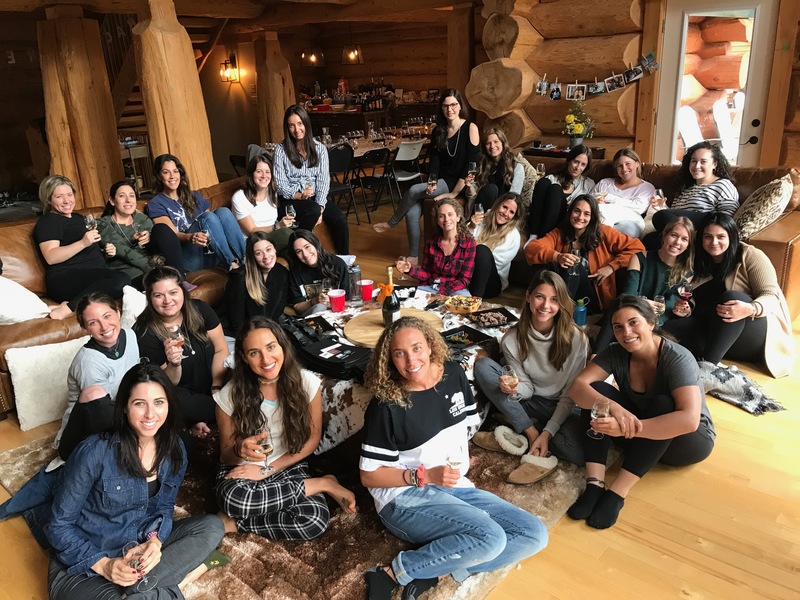 Step 3: We run a 2-hour interactive event that include our activities, food pairing, winery stories, pictures, and lots of laughter. Step 6: You re-book us again and again! What are you doing when you are drinking wine and eating food anyway? Well, we have created an easy solution to suit all of those needs! A new way to celebrate, a new way to socialize, a new way to connect, and a new way to learn. Where does the learning come in you ask? 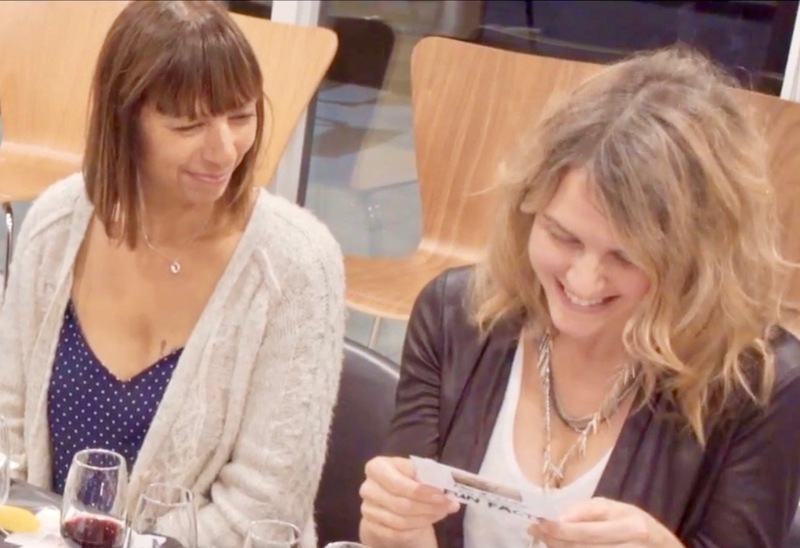 The whole way through a wine tasting experience! Our subtle approach of sharing our knowledge isn’t shoved in your face, rather it’s used to help create your own learning, without you even realizing it. Our sensory activities and interactive games add to the experience to keep everyone engaged and on their toes! We don’t try to sell the products we pour or push them in your face, but we will use products that are affordable and accessible to you in case you like them, and trust me, you will! Check out our Wine Murder Mystery theme; our newest and growingly popular experience. These guest detectives had a blast! We do ALL the prep work to provide an original and unforgettable event! Your only focus? Sit back and enjoy the experience with those around you, while we take care of the rest. Have you been listening to what I’ve been saying? The proof is in the pudding!  A good time guaranteed! Does that answer your questions? Do you see the big picture now? I hope it’s full of wine, food, fun and a list of possibilities of what you could be doing for your next celebration or get-together. 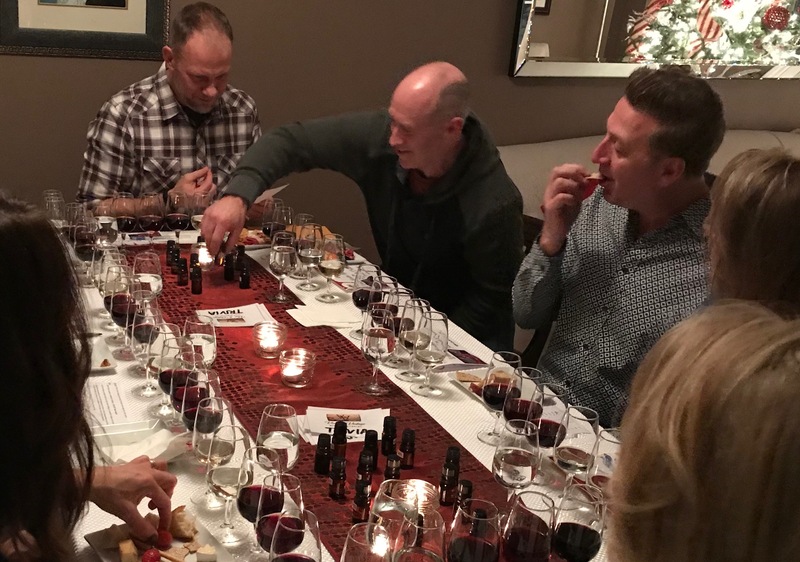 Experience a true Toronto wine tasting! Let’s connect and start planning!